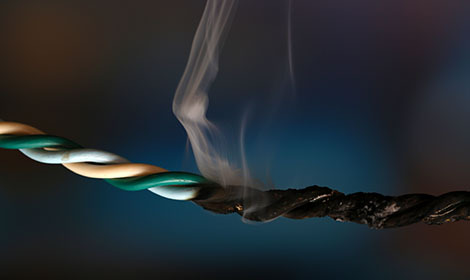 If you have an urgent problem with your electricity, such as a short circuit, a blackout due to an overloaded circuit or problems with your wiring, we are able to help you fast! You can reach us 24 hours a day, 7 days a week for urgent situations. Because we understand how you must feel if you can’t use your electricity network. If you call us, we try to get to you as fast as we can. We inspect the situation and make an estimate of the problem and what needs to be done to solve it. After consulting with you we will fix the problem as soon as possible. Well equipped. Our electricians are well equipped. They use the newest material and are always aware of the latest developments. 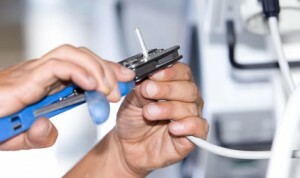 Therefore we are able to solve any electrical problem. Fast response. We always respond very fast, so that we can help you as quickly as possible. Fair prices. In and around Amsterdam we will fix your short circuit or blackout for a fair price. If you have an urgent problem with your wiring or distribution board in Amsterdam, call us 24/7 at 020 - 795 67 49 and soon we will be at your door to help you! Amsterdam, Hoofddorp, Hillegom, Haarlem, Amstelveen, Zaandam, Bloemendaal and Zandvoort. We value fast service, therefore we will always help you with your urgent problems within one day.